If anyone knows how to party it's Marvel's merc with a mouth. Marvel's Deadpool is taking a break from fighting Super Villains, though probably not from his snarky commentary, to celebrate the holidays. 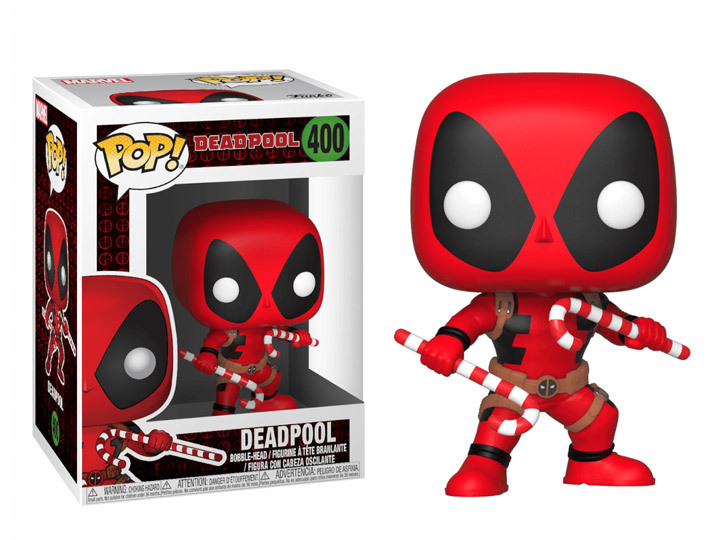 Wielding a pair of candy canes, the Deadpool holiday pop is clearly eager to deck the halls. Pop! figures bring your favorite heroes to life with a unique stylized design. 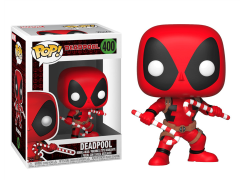 This vinyl Deadpool pop doll figure stands 3.75 inches tall and comes in window box packaging, making it great for display!